Want to read something easy, funny but unpredictable? Or are you keen to get stuck into a long, sad, larger than life, demanding read? Either way how do you find it? A great website called Whichbook.net can help you locate your next read by the way it will play with your emotions, rather than by the content. Choose four variables and where on the scale for each (eg. from Gentle to Violent), you want the book to be. A review will then be given of one title and an extract so you can get a taste of it, and a few other options are also listed. Once you have a title you will need to check whether Sutherland Shire Libraries hold the title, or decide if you want us to Interlibrary Loan it from another library service for you. If not, then choose other options until you find one we hold. This site and others, which help you to choose books you will enjoy, are linked from our Reader's Guide page. Here you will also find here some tips on authors who write like....? and new books, adult fiction and non-fiction, CD's, DVD's, travel guides, young adult, junior, graphic novels, large print and Mills & Boon titles, added to the library collection over the last month. 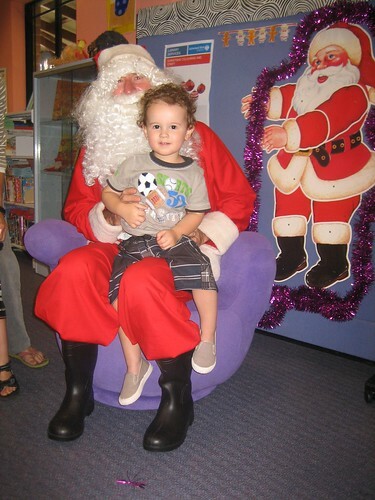 Santa visit 1, originally uploaded by Sutherland Shire Libraries. As you all know Santa has been doing his rounds this month, visiting our branches. We at Menai had our turn on Wednesday two weeks ago. Santa showed what a big reader he was by selecting a few books as he walked in. Excited kids delivered their wish-lists and stickers were handed out. Goodwill having been spread a satisfied Santa left the building, one mince pie in hand (or mouth!). This year's Summer Reading Club theme is Read on the Wild Side. As always there are some fantastic prizes up for grabs in our major draw as well as incentives like tattoos and wristbands along the way. Sink you teeth into some great books and dazzle your teacher by how much your reading has improved over the summer break. Join up at any Sutherland Shire Library and receive a start up kit with some fun activity sheets and your unique registration code. Grab some books and get started. The program is open to anyone 0-12 years old. Those attending high school in 2010 can join our Teen Reading Club. The Summer Reading Club runs from Monday 14th December until Sunday 7th February. Are you looking to take a break from Christmas shopping? Why not visit Miranda Library? 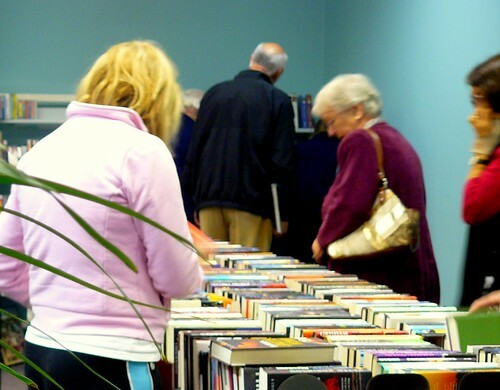 If you want to relax and read a newspaper, find a new book to read, surf the web or even borrow a DVD or CD or just sit and rest, come and visit us. You may care to check out Miranda library's latest display of 'list books'. 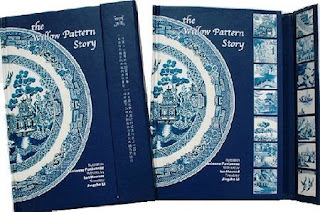 Have a look at 1001 historic sites, 1001 ideas for kitchen organisation, 1001 ideas for patio and decks or 1001 foods. 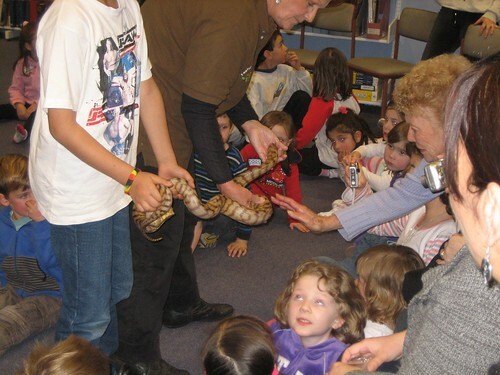 Miranda Library also has various activities for children during December and January. Miranda Library now has CDs for loan. Come and have a look or check our catalogue for CDs at other branches. Staff have been busy rearranging our books to whet your appetite for all those books that were at the back of the library. So if you have never visited Miranda Library and were wondering where it is, have a look at the Sutherland Library website which has all branch locations and other interesting information about your libraries. Miranda staff look forward to seeing you. Why not suspend your Hold Requests so that they do not become available whilst you are away? You get to choose the date when when they become active again. Perhaps a few days before you return. This means you won’t miss out on that eagerly awaited bestseller and you keep your place in the queue. Go to the Sutherland Library website, and under the menu option My Library choose, My Account and login with your membership number and pin. Click on Hold Requests, highlight your holds and put in the date you wish to suspend until. Click the Change Staus button and the Status of your requests will become Suspended. Alternatively ring your local branch and they can suspend your holds requests for you. There is convincing evidence that a healthy diet combined with regular physical activity may lower the rate of cancer by up to a third. Engadine Library will be hosting a Cancer Council NSW Community speaker who will be talking about how living a healthy lifestyle can help to reduce the risk of cancer. A morning tea will follow the talk. A change is coming to the Library's Wireless Hotspot Service. For some time now customers of Sutherland Library have been able to access the Internet using their own devices, eg. laptops and web enabled mobile phones, using our Wi-Fi hotspot. Our current hotspot service, which has been providing free access, will be replaced in November with an improved service covering both levels of Sutherland Library. In addition, the Wi-Fi service is being extended to other locations across the Council's library network. To take advantage of this facility customers will be able to purchase cards for wireless Internet access. There will be a choice of either a $5 card for 24 hour access or a $2 card for 2 hour access over a 1 week period. Sutherland Shire Council is implementing this option as a low-cost alternative for library customers. Visit our web site for more detail about the Library's Wireless Hotspot Service or pick up a brochure at any branch library. The day was sunny. 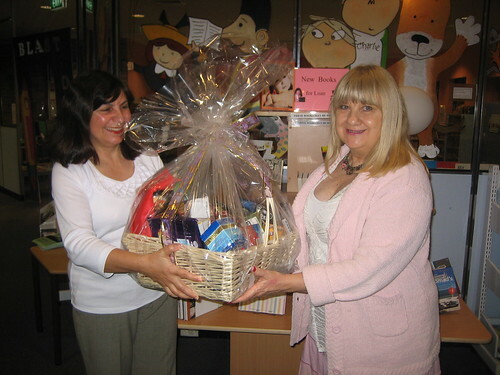 After a hectic month, calm descended on the staff of Cronulla Library. All was ready for the opening of the bright new library. Eager customers waited outside for the doors to open. HSC students led the way and quickly occupied most of the tables. Children made a beeline for the children's area. Newspapers were snapped up. Others wandered around taking in the colour and looking for their favourite authors. Bookatoo was pursuaded to make a guest appearance much to the delight of the children - young and a little older. We look forward to you visiting Cronulla Library. The library is in Cronulla Central. Enter from Cronulla Plaza, Croydon Street or via the lifts from the Croydon Street Carpark. Internet Training @ Your Library - space available for next week! The Library's term 4 Internet Training program is now available. We are running basic Internet & Email courses for absolute beginners. If you would like to learn a bit more about the Internet or you know someone who does telephone the Library on 9710 0351 or pick up a brochure from any of our branch libraries. Of course all the information is available from the Internet Course Information page on our web site and the dates and times are listed on our Events Calendar as well. A few spots are available for the course beginning, Tuesday 20th October. Ring today to secure your place. World Book Online Public Library Edition, is now available at home to any Sutherland Shire Library member! Use it as a starting point for assignments... as a reliable benchmark to judge Wikipedia results against...or just for fun! - World Book Online for Kids - especially for younger kids it includes engaging multimedia, games, science projects, interactive tools, and activities. - World Book Online Info Finder - designed for school-aged patrons’ homework and research needs and based on the World Book Encyclopedia. - World Book Online Reference Center - a reference tool for advanced researchers and information seekers, there are e-books, tens of thousands of articles, and hundreds of thousands of primary source documents. Each section can be keyword searched or you can be guided through menu options towards your goal. Your results can be saved in an individual account within the site giving you the ability to create and save your own content features, including research results from World Book and external sources, timelines, and citations. Besides providing much information within it’s pages, World Book Online also provides links to quality websites, freely available articles and interactive map links related to the subject of your choice. These resources are outside the World Book website and you are informed of such as you leave. Although doing a search and getting results is easy, there is so much that can be done within the World Book website, that customer training options are available to alert you to the full features of this product. Once logged in to World Book Online, look at the bottom of the screen for the Online Tutorial and/or Customer Training Guide. All you need to do to have this powerful tool at your fingertips is follow the link above, click on the picture of the library card and enter your library card number. To see all the information sources available to you from home go to Sutherland Shire Libraries home page, highlight Web Resources from the top menu, click on Online Databases, then click on the dropdown menu beside the heading Databases by Title. World Book is listed here along with many other free products, your membership entitles you to access. Sutherland Shire Libraries hold a range of resources to assist HSC students with their studies. Study guides such as those by Excel, Macquarie, Get Smart, Top Notes and Success One : Student Answers published by the Board of Studies; past HSC examination papers and Infocus articles from the State Library of NSW, are all available for use within the libraries. Sutherland, Caringbah, Engadine, Cronulla (reopens Monday the 19th October), Menai and Miranda libraries have separate HSC lending collections consisting of study guides, support material, Hot Topics for legal studies students and the series Issues in Society. Students, who are members of the library, can search the online catalogue and access online databases from home, to locate articles and other up-to-date information on a wide range of topics. The library webpage includes links specifically for HSC students. The first exam is on Tuesday 20th October, and study space in our libraries is at a premium. So if you are coming in for quiet study space, be early! With the closure of the Library at Surf Rd, Cronulla on Saturday we have begun to move into the New Library at Cronulla Central in Croydon Street. 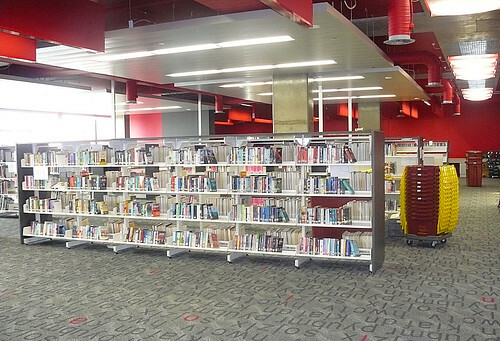 New Cronulla Library 7, originally uploaded by Sutherland Shire Libraries. 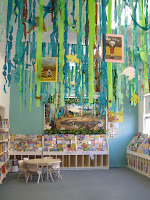 maindisplay wall in kids room, originally uploaded by Sutherland Shire Libraries. 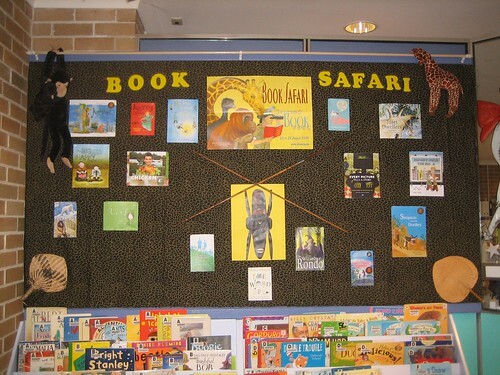 For two very full weeks Menai Library along with other Sutherland library branches celebrated Book Week, the theme of which was "Book Safari" this year. We are happy to say that staff and school students alike thoroughly enjoyed presenting and interacting with the games and also preformances by a visiting "Sunday Chutney". All are sad to see the old Cronulla library go, we have had some great times. As we get ready to make the move to a new home in Croydon Street we look back fondly on our little cosy library.It hasn’t always been a library; the building was built back in 1908 as the first Methodist church in Cronulla. Cronulla was booming by the 1950’s, so in 1955 council decided to open a branch library at Cronulla. A portion of the School of arts building (1912) in Surf road was leased for this purpose. However, by 1962 the premises was considered to be inadequate and it wasn’t until 1969 that the old church was used for a separate children’s library with the adult library following in 1975. 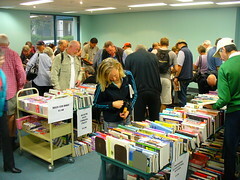 Cronulla Library will continue to occupy the current building until September 19th 2009. (For more information about Cronulla’s and it's old buildings view them online or contact our Local Studies section at Sutherland Library Ph. 9710 0225). It is time to say goodbye and to move on to bigger and better things. So farewell to Cronulla Library as we know it, your memory will live on in us. Please share your memories by commenting, so they can live on long after it has moved. On Tuesday 8 September 2009 A S Byatt, J M Coetzee, Adam Foulds, Hilary Mantel, Simon Mawer and Sarah Waters were announced as the shortlisted authors for the 2009 Man Booker Prize for Fiction. Start your reading now and see if you agree with the Judges Verdict when the winner is announced on 5 October. You can even download and listen to extracts of these books on the Man Booker Web site. National Stroke Week is held each year to provide continuing public education about stroke awareness and prevention in the community. This year the new FAST campaign is being launched to help people recognise the early signs of stroke. The FAST test involves asking three simple questions. Face - Check the face. Has their mouth drooped? Time - Time is critical. If you see any of these signs, call 000 now. To assist in the promotion of the signs of stroke, a Clinical Nurse Educator from Kareena Hospital will be available at Sutherland Library to measure blood pressure and to give advise on stroke prevention. Sutherland Library is currently hosting a display of works by local artist Jan Etteridge. Jan is a talented artist whose works include sculpture, ceramics, metalwork, photography, prints, drawings, weaving and other crafts. Jan has a keen interest in places of interest in Sutherland Shire, travel, history, early buildings of Sydney and botanical art. These interests are reflected in many of her works. Jan's works are on display in the Southern Lounge at Sutherland Library during September and October. 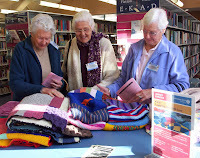 Sutherland Library and Caringbah Library are proud to host a Knit In to support the Wrap With Love organisation. Over the past few years, the Wrap With Love organisation has sent more than 184,000 beautiful handmade wraps to those in need. Australian knitters contributed 2,223 wraps in 2008. To be part of this event all that is needed is spare yarn and a pair of knitting needles or a crochet hook. Knitting instructions and further information on the Knit In can be found on the ABC Sydney Knit In web site. The libraries will have copies of the instructions. Come and join your fellow knitters for a chat and coffee. National Diabetes Week 2009 is being held on 12-18 July. An estimated 275 Australian develop diabetes every day making diabetes our fastest growing disease. It was estimated that in 2007 about 890,000 Australians were diagnosed with diabetes. The total number of diagnosed cases and those with pre diabetes was a staggering 3.2 million. In conjunction with Diabetes Week, a Clinical Nurse Educator from Kareena Private Hospital will be conducting Blood Glucose Level testing and providing advice on the prevention and management of diabetes. The library has books on this condition as well as many cookbooks to inspire healthy eating choices. Learn how to preserve and develop your brain throughout your life, even well into old age. Dr Norman Doige, author of the best-seller The Brain that Changes Itself, will be speaking at the Sutherland Entertainment Centre on Tuesday 19 May 2009 at 7.00pm. The brain is a living organ capable of changing its own form and structure even after injury and into old age. In many cases, you can stop the normal process of age-related cognitive decline, and even reverse it. Dr Doidge champions the new wave of scientific thinking on brain function known as neuroplasticity – the ability of the brain to change. It gives hope for the aged, for those with dementia, for stroke victims, sufferers of cerebral palsy and for the blind. For more information about Dr Doige's visit including details of how to book visit the Sutherland Entertainment Centre web site.